Why are name brands like AT&T, Johnson & Johnson, Nestle, Starbucks, Verizon, and Walmart running away from YouTube? This isn’t a joke with a rhetorical answer like “to get to the other side,” it’s a serious question. These brands, and more, have recently pulled their advertising dollars from the world’s largest online video platform. YouTube. That endless sea of news, music videos, TV clips, and shameless original content you’ve come to know and love. If you’ve watched anything on YouTube in the last 10 years, then chances are you’ve been slapped with that scrolling yellow bar signifying how long you have until you can actually watch your video. You can thank advertisers for the wait. If you’ve got a product you’re looking to advertise, it only makes sense to put it where people are going to see it. People at home watch the TV, so you’ve got television ads. People spend a long time driving on the highway, so you see big billboards and hear ads on the radio. And then you have people spending countless hours online – so of course you can put it there. A no-brainer, right? What could possibly go wrong? A lot in fact, as we’ve seen in the news over the past week. What happens when that ad of yours winds up in front of a video you didn’t expect? Normally, you might pick and choose which videos you want your ad to run on because you’re trying to reach out to the sorts of people who watch that content and might be interested in what you’re selling. But the marvel that technology and “interest targeting” have created just might throw you a curve ball. YouTube Ads put your brand’s image at risk. That was an excerpt taken from an article posted on The Guardian regarding the recent rise in advertisements being pulled off YouTube – having taken them no longer than fifteen minutes of browsing videos to find what they did. And if you’re an advertiser, you likely see the big problem here. Who could have foreseen your ad for a new car being featured on a video too explicit for me to mention without losing my job. Or your ad for a new seasonal sandwich deal being played before a video featuring the 10 Most Disgusting Foods People Eat. You get the idea. You didn’t intend on your ad being associated with the lewd or otherwise unfavorable content it was bundled with. It doesn’t matter if your product has nothing to do with the associated content, or if you’re not endorsing the following message whatsoever – a connection is being made by the viewers that you don’t have control over. 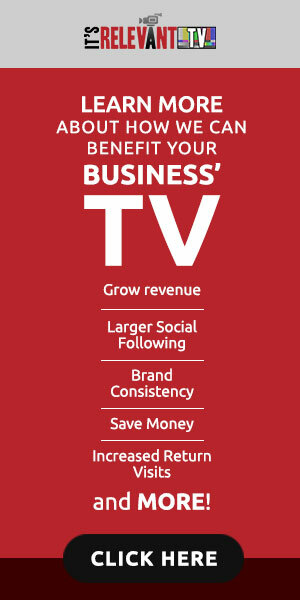 It’s Relevant TV gets your video ads to the right people while removing the risk. It’s Relevant TV removes the chance of your ad being shown before a lewd or inappropriate video by having only family-friendly videos on the platform. To avoid the risks associated with machine filtering, It’s Relevant TV adds and approves videos 100% manually. A real human being sees each and every video before it goes out on the It’s Relevant TV network. The FCC protected you from associating your brand with extremely bad content on television for years, by not allowing certain types of content to be broadcast at all. But the same can’t be said for the internet. Anyone can post anything on YouTube and before illegal/inappropriate/controversial videos have a chance to be flagged and taken down, an advertiser’s message can be seen connected to them. Take your video advertisements to a safer place. Get in touch with It’s Relevant TV for more information. The rates are comparable to YouTube, while putting ads on screen in public places. Change can be Hard. But It’s Worth it for Your Business. Waiting Room Makeover: Controlled By an iPhone App?